We are so grateful for all the foster families who are part of the Medfield Animal Shelter. They make a world of difference. 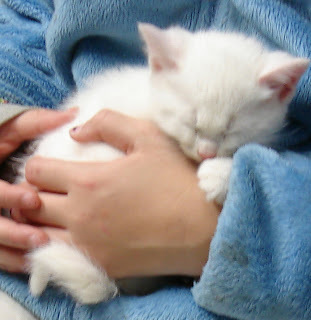 As this precious kitten and so many others can attest, getting to sleep in the arms of someone who loves you is so much more fun than sleeping alone at the shelter. So sweet! A lovely picture to start the day.